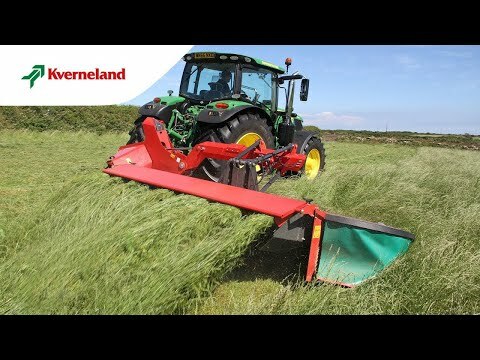 Kverneland 3300 series is fitted with the new Kverneland suspension concept called QuattroLink. The new QuattroLink mowers have been designed for even more productivity and to handle tougher conditions than ever. With its´ accurate ground following ability and highly flexible working range QuattroLink provides supreme capacity. QuattroLink provides an accurate tracking ability and a highly flexible working range. The mowing unit is pulled by the 4-arm suspension, fitted onto a fixed carrying arm that allows the mowing unit to float independently over the field, adjusting precisely and instantly to any changes in ground contours. 3.16 and 3.60m working width.